The Elevate anchors Salomon's best selling XA line. Picking up upper cues from the RA line the Elevate can be thought of as a touch lower stack but more aggressively lugged version of the great Sense Ride (RTR review) coming in at 0.5 oz heavier, with a somewhat more aggressive Premium Wet Traction Contragrip outsole. It is designed for technical terrain while the Sense Ride may lean slightly more towards all terrain versatility. It has a responsive dual density EVA and Energy Cell+ outsole but leaves out the vibration reduction Vibe insert of the Sense Ride. The current Sense Ultra is Salomon's best selling S/Lab product of all times (RTR review) sees some big changes in Sense Ultra 2. The changes are focused on improved and consistent durability under foot over time through a shoe size variable (above size 9 the insert is longer) white PU insert at the forefoot and increased upper fit customization through the introduction of external Sensifit wings. Thin overlays are now in a grid pattern and appear extensive, again for durability and support. The result, for what should be more durable and we think supportive Sense Ultra, is that it weighs about 0.9 oz./ 26 grams more than its predecessor. The external Sensifit wings should provide better and more customizable mid foot support. The white Energy Save PU insert in the forefoot is combined into the dual density midsole to help improve cushion and durability over long runs. 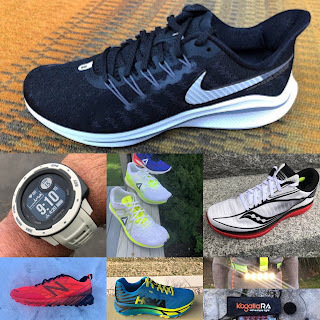 We did find the Sense Ultra forefoot cushion, while super agile made the feet work hard, and was a bit thin as the miles piled on. The fade from S/Lab Racing Red to a deep blue purple Maverick color represents "the mental and spiritual transition athletes undergo over the course of an ultra, from an inner focus on performance through difficult mid-race moments to an inward, spiritual journey as the miles near triple digits." It's cool but we prefer the sober black and Racing Red of the original. The outsole is Salomon's excellent Premium Wet Traction Contagrip with a bit more lug coverage in the center of the heel towards the mid foot and fewer on either side of the center cut out at mid foot. We see the Sense Ultra now evolving towards a more durable forgiving and supportive long race shoe but maybe a bit less fun to run hard and fast for mid distance efforts leaving a gap in the S/Lab line for that kind of shoe. This stunning shoe, shouldn't say but on the town worthy looking, is designed for soft ground and all sorts of slippery terrain. It is slightly lighter than its predecessor. A hydrophobic layer is designed to keep the shoe from retaining water with the tread redesigned for more grip versatility. Available early March 2018. Disappointed with the changes to the Sense Ultra. Salomon seem to have many shoes in the the same category now, and then a big gap to the Sense / Sense SG. Where is the slightly softened Sense? I was hoping that the new version of the Sense Ultra would see 4mm taken off it's (too bulky) heel to create the perfect 50 mile shoe, Not more bulk and weight gain. I've run two 50s in the current SLAB Sense Ultra and just did the Pikes Peak 50 in the new Speedgoat 2. I'll take the Speedgoat 2 every time. I wish Salomon would make version 2 4mm drop and add 4mm more cushion to the forefoot. The shoe would be more stable on steep descents and more comfortable as the miles pile up. Joel, while not lower drop I think Ultra Sense 2 will be more cushioned and stable in the forefoot due to the PU insert with a more supportive upper but.. will gain weight. A lower drop would reduce weight and also as you say make more stable. Sam, Editor. Joel, I agree that the heel in the V1.0 of the Sense Ultra feels unstable. I'd typically err on the side of a more minimal shoe and the Sense SG with a bit more cushion would be my perfect shoe I think. 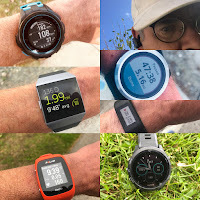 Interesting that you think that the Speedgoat2 is more stable than the Sense ultra though. I'd assume from the overall higher stack height that it wouldn't be but perhaps I should ignore my minimalist tendencies and give it a go. How do you think it would get on with tussocky grassy moorland? I didn't mind the sole of the Nike Terra Kiger, but on uneven terrain the upper could not keep me on top of the shoe. These new upgrades to the Sense Ultra make me nervous about the direction Salomon is heading. For several years I've liked the no nonsense nature of Salomon and their simple but effective designs as shown in the Ultra, Sense, and Sense Pro. I have all three and like each of them for different types of running. The increased weight and gimmicks of "Vibe" and "Sensifit Wings" make me think they're heading the direction of creating the equivalent of a $180 Cascadia or Nike Air shoe with an S-Lab label to justify the price. Hopefully they don't mess with the Sense or Sense Pro so much as Salomon is my favorite brand shoe. Hi Anomymous, We'll see about the Sensi Wings but I can tell you for sure Vibe is not a gimmick, scientifically sound and allows a firmer midsole with less shock vibration. A great idea . The PU insert in the new Sense Ultra is interesting as well but time will tell. As far as Sense I doubt Kilian is changing his preferences! Stay tuned! Wow, the sense ultra 2 looks terrible, just awful. That being said, I couldn't wear the first iteration because of lace position in the top eyelets (irritated the top of the foot terribly), but at least it looked great. These just don't look like a Salomon shoe at all. Any idea on Sense Ultra 2 availability date? S/Lab Speed 2 available early March 2018. Post updated. I did not see and did not appear to be prominently displayed as in years past but will inquire. Thanks Sam. I appreciate that. Heard back from Salomon. No new in S_Lab Sense or Adv. Skin for spring 2018 but there was new product in the more moderate price point Agile collection but don't have details.